The very young sunlike star has already formed a gaseous planet, much faster than one would expect. The planet with 1.7 times the mass of Jupiter orbits the star in 2,5 AU distance every 4 years. 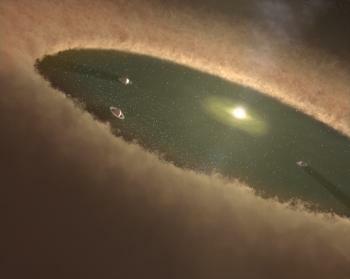 More smaller planets are probably in the process of forming.